Stops leaks with superior waterproofing. Offers excellent wind and hail protection. Increases energy efficiency and lowers utility expenses with its cool, white reflective surface. May save cost of tear-off and disposal. 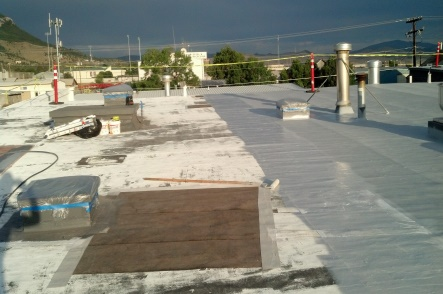 Extends the life of your existing roof. 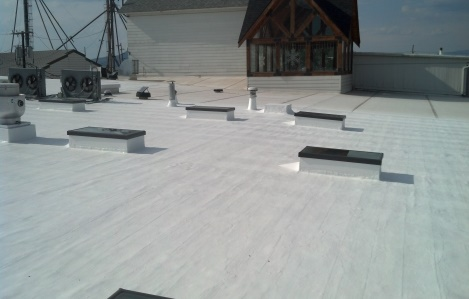 Conklin’s Fabric Reinforced roofing system is extremely versatile and can be applied to many different types of roofs. 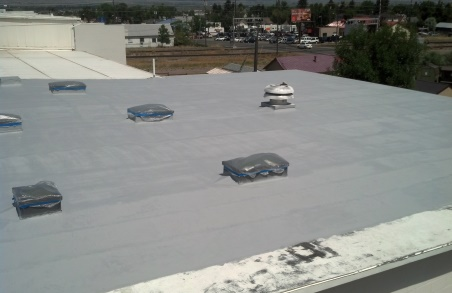 A Conklin contractor will cover the proper procedure for application of our Fabric Reinforced system to your particular roof substrate.